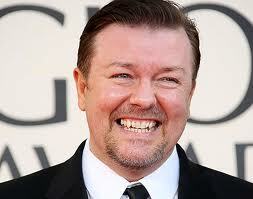 Gervais also added that he won’t be watching the Oscars telecast. “I am forbidden to work on the sabbath,” he joked. While Franco continued to Tweet about his Oscar preparations and tease fans with snippets from his opening segment with Hathaway, 20th Century Fox released its first still from director Robert Wyatt’s Planet of the Apes revival Rise of the Apes starring the Oscar-nominated, 127 Hours star. Response to the image on various sites like Empire continued to be subtle at best, considering it’s simply a shot of Franco as a research facility worker busy at his desk. With fine-tuning continuing until the “official” March 15 opening for troubled musical Spider-Man: Turn Off the Dark, producers for two Spider-Man spinoff shows announced New York openings in tandem with the opening night of director Julie Taymor’s much-delayed Broadway show. According to The Hollywood Reporter, reps for Spidermann, from Jose Bold (stage name of John Osebold), announced an off-Broadway opening of March 13 at the Tank in Manhattan after playing in Seattle to good reviews. Meanwhile, comedian Justin Moran announced a March 14 opening at Manhattan’s Peoples Improv Theater for his no-budget musical The Spider Project: With Great Power Comes Great Responsibility. It might not have been Taymor’s intention but credit her for jump-starting a cottage industry of Spider-Man playwrights and performers. Two and a Half Men star Charlie Sheen bested the Oscars in the news department yesterday when CBS and Warner Bros. Television announced they would cancel their hit sitcom Two and a Half Men for the rest of the season. “Based on the totality of Charlie Sheen’s statements, conduct and condition, CBS and Warner Bros. Television have decided to discontinue production of Two and a Half Men for the remainder of the season,” read the joint statement from Warner Bros and CBS. Sheen’s latest escapades left fans wondering if the hit sitcom was cancelled for good.